Some of you know that I've been on my personal wellness journey for about 10 years now. So the person you see today, the programs I participate in, the way I eat, my daily commitment to movement...those healthy habits are 10 years in the making. I didn't just wake up one day and know what to eat to fuel my health. In fact, I had a horrible mindset when it came to food. I focused solely on deprivation. If I ate something "bad" like ice cream...I'd skip dinner to make up for it. I was focused on being thin instead of healthy. The first step in my wellness journey was changing my mindset about food. Learning to fuel my body for health and happiness without guilt, without deprivation, without counting calories. That's why I'm excited to announce my 2B Mindset Nutrition Group - starting May 14! 2B Mindset is Beachbody's first nutrition-based program. It's not a "diet". In fact, it's very similar to what I learned and experienced going through Nutrition School 8 years ago. It's rooted in developing a healthy relationship with food and changing the negative, emotion based mindset we've developed over the years. 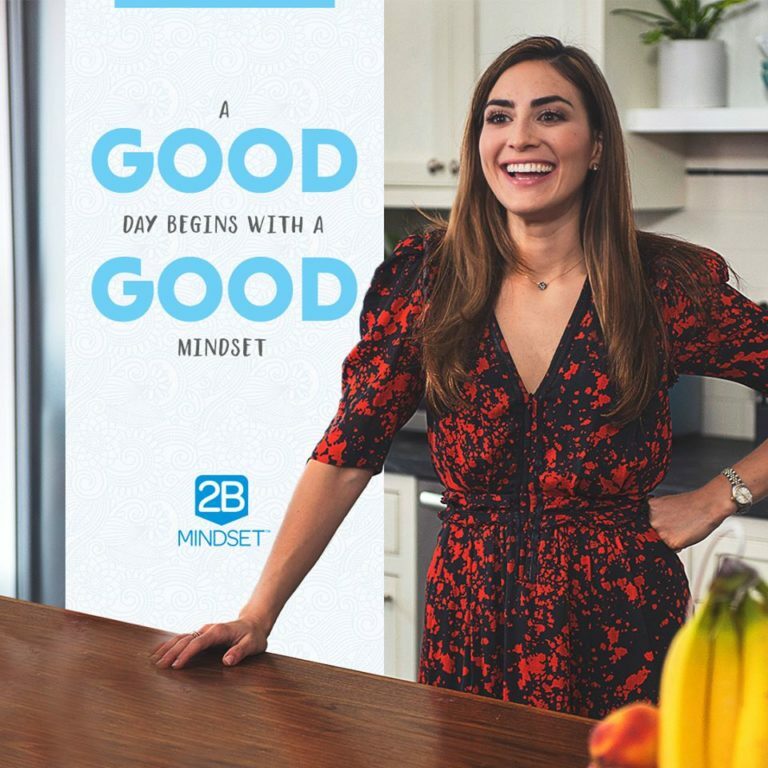 Check out this video from the creator, Ilana Muhlstein, MS, RDN where she explains the theory behind 2B Mindset and why it works. She is a registered dietitian nutritionist and she personally lost 100 lbs using this nutrition philosophy. Is 2B Mindset right for you? If you want a healthy relationship with food? If you can relate to any of these desires then 2B Mindset can help you! Strategies for "real life" situations like eating out in restaurants, attending parties, holidays, etc. And an amazing group of women to go on this journey with!!! Are there workouts required with 2B Mindset? Nope! There is no workout required to get amazing results with this program. That doesn't mean you can't workout or that you shouldn't, but that's not our focus. Working out is a bonus...it's extra credit! If you want to workout while using 2B Mindset we can chat and find the best options for you and your goals. How long is 2B Mindset? Unlike other programs I've taken groups through, this program has no time limit. It's a lifestyle change...not a diet or fitness program. We'll work our way through Ilana's videos and advice and put it into practice. You can stop using the tracker sheets at any point, but once your mindset has shifted this will just become part of your life...your way of nourishing your body and thinking about food because you WANT to - not because you HAVE to. How is it not a diet? Dieting isn't sustainable. Will power runs out. The main focus of this program isn't on the food itself - it's on how you think about it - your mind - your relationship with food and yourself. There's no such thing as "cheating"
Check out some of the results from the 2B Mindset Test Group!